There are ways to create your best life from the 'outside-in', by changing something in your environment. Yes, I know it’s all an inside job! But taking small action steps in the right direction helps so much with getting over stagnation, second guessing and turning in circles. Plus, it’s fun to do! Think about the life you would love to live. Does it include luxurious experiences? Now go around your living space. What are the little annoyances you put up with? A dripping faucet? A pan without a lid? Ironing on the carpet because you don’t have an ironing board? A jangled mess of screws, nails and other odds and ends in your toolbox? Dried up nail polish? Shoes were the heels are worn down? I could go on and on but I think you get the picture :). Make a list, and then begin dealing with these things one by one. It will free up so much energy! Experience an upgraded lifestyle now already. Have your tea at a 5 star hotel. Take a taxi when it’s raining. Get the really good chocolates instead of the cheap ones. Buy yourself some flowers. Clean your car. Order what you want from the menu without looking at the price first. None of these things is very expensive. All of them can give you a feeling of expansiveness, of luxury, of treating yourself well. All of them will change the frequency you emit. And if you send out a different frequency, a different reality will be created by you. 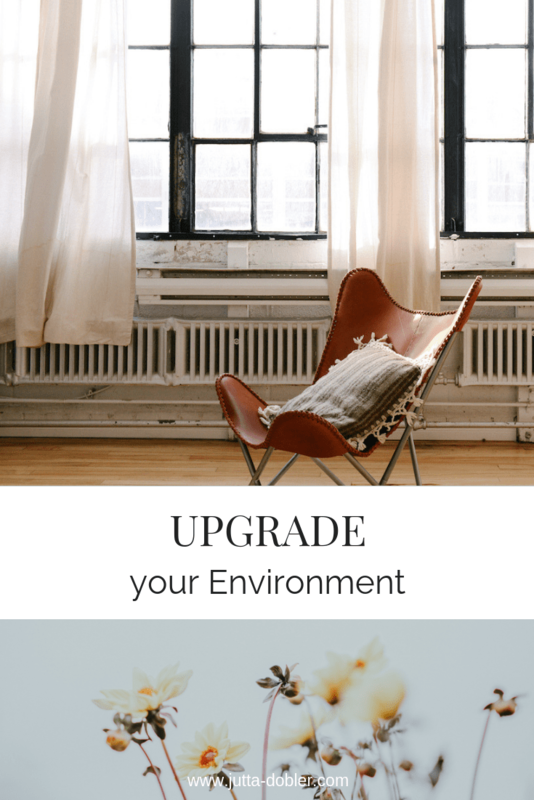 I would love to hear what you upgrade! Let me know through the contact form, or via Instagram.